Based on Idea Factory's romance adventure game: Yukimura Chizuru has come to Kyoto looking for her father, a doctor who has gone missing. While there, she witnesses a fight between an Oni and the Shinsengumi. Taking her into custody, the Shinsengumi debates on what to do with Chizuru when they discover that she is the daughter of the doctor they are also looking for. The Shinsengumi then takes Chizuru along on their search after the missing doctor, from adventures to adventures. Nimi-san has turned against the Shinsengumi and fled with the medicine. The sponsor for the newly created Shinsegumi wants Serizawa taken care of before he causes any more problems. The Shinsegumi wait to see if Sannan-san recovers from his violent reaction to "that medicine" - and work to keep Itou from noticing. Chizuru has a fuller truth revealed to her because of the incident. While on patrol, she and the soldiers rescue a young woman who looks almost exactly like Chizuru, who still dresses like a boy. Later, as the Shinsengumi take up guard duty for the Shōgun's visit, the three strangers - calling themselves "Oni" - try to kidnap Chizuru. The Oni are foiled and vanish again. Chizuru makes friends with Sen, whom she rescues again from thugs. The Shinsengumi members undergo medical exams - and the doctor giving the physicals is a friend of Chizuru's father. His prescription: Clean the HQ! Chizuru finds out a terrible secret about Okita. Dr. Matsumoto also fills Chizuru in on some more details about the ochimizu and Rasetsu. 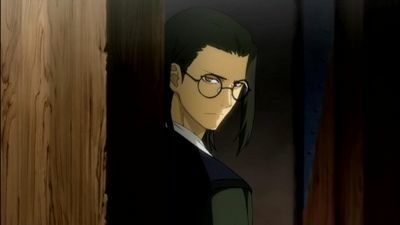 Kazama gets into the headquarters to confront Chizuru again, and is later reproved by Amagiri for his interference with humans. Chizuru has been depressed thinking about what Kazama said before he was chased off; her friends set up an afternoon with the charming Osen-chan to cheer her up. Hijikata and Shinpachi have a confrontation. 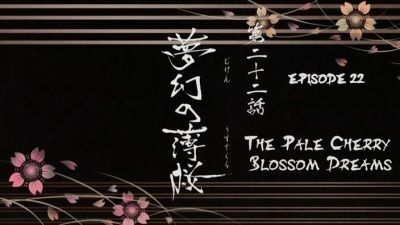 The Shinsengumi get bad news from the Bakufu; during a related assignment, they get an unpleasant and unsettling surprise. With the reward money for the successful assignment, however, they finally get Chizuru dressed up like a girl during a rowdy celebratory night out. The princess gets a report. After several months, Chizuru's service to the Shinsegumi has become a regular part of their everyday lives. Itou Kashitarou allies with the corps as an advisor, but not all the soldiers are happy with his presence. The Shinsengumi make plans to move to a larger headquarters. Meanwhile, Yamanami, discontented with his ability to contribute, continues research on "that medicine" in a dangerous way. Souji has done the unthinkable and will have to pay the ultimate price. With the death of Niimi, some final business must be taken care of before the Roshigumi can truly be called the Shinsengumi. The smaller squad of Shinsengumi out to apprehend the Choushuu conspirators find them at Ikedaya. Chizuru is sent with Yamazaki to update the other soldiers surveilling at Shikokuya so they can reinforce their brethren, but runs the message herself while Yamazaki fights off attackers. 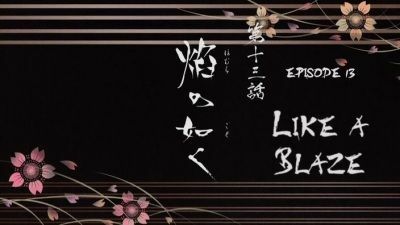 Back upstairs at Ikedaya, Okita and Heisuke engage with two mysterious and very powerful strangers. The Ikedaya Incident leads to a request for the Shinsengumi to fight on the front lines - the beginning of the Kinmon no Hen Incident. A mysterious princess is introduced, speaking of a "storm" arising. Meanwhile, the Shisengumi have marched to the front lines, and leap into battle on their own accord. Cleaning up after an enemy sortie, Saitou finds one of the mystery men from Ikedaya (Amagiri Kyuuju) defending Satsuma Clan soldiers; Harada encounters a third powerful stranger (Shiranui Kyou) wielding a Western-style handgun; and Hijikata with Chizuru are confronted by the blond stranger (Chikage Kazama) as they race to Mt. Tennozan. Itou seeks to subvert and split the Shinsengumi, especially after he finds out Yamanami is still alive. Chizuru still hides her quick-healing ability when she is injured by an ochimizu-maddened soldier. 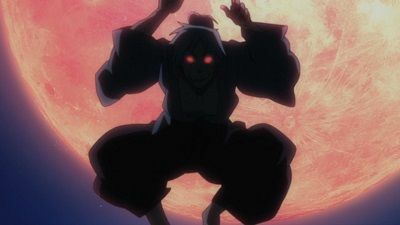 Osen and her kunoichi Kimigiku come to collect Chizuru from the Shinsengumi headquarters for her own safety; Osen claims an ancient oni bloodline and forces Chizuru to admit her own oni status. 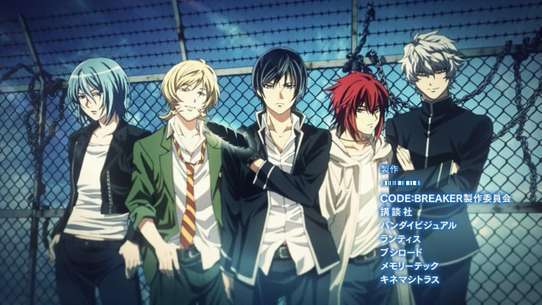 The Rasetsu Squad are activated when Kazura attempts yet again to kidnap Chizuru from the headquarters. The Shinsengumi have established their new headquarters in Edo. 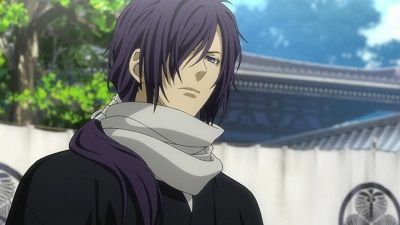 Hijikata has been working nonstop since their arrival as the temporary leader of the Shinsengumi in Kondo's absence, causing Chizuru and the squad a great deal of concern. 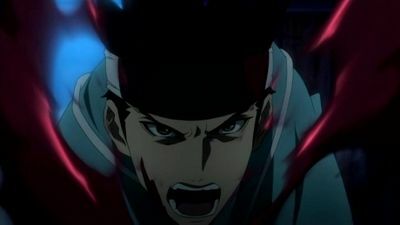 In addition to working all night for several consecutive days, Hijikata is also struggling to control the urges to drink blood caused by his new Rasetsu powers. Kondo returns to the Shinsengumi headquarters and informs the squad that they are being renamed the Kouyou Chinbutai. Acting under the orders of the emperor, they will be attempting to defend Koufu Castle from pro-imperialist factions. The Shinsengumi captains aren’t happy with how the Tokugawa shogunate appears to be yielding to the Imperial faction and Nagakura is very upset and distrusting of Kondou’s daimyo aspirations. 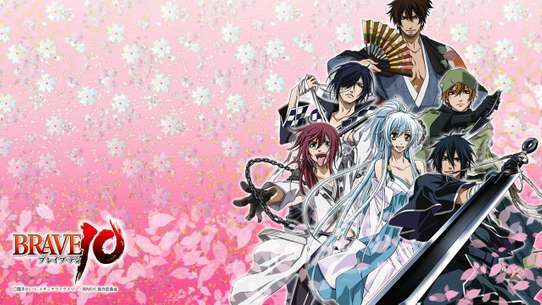 Chizuru Yukimura is a young woman who, disguised as a boy, traveled to Kyoto to search for her missing father. However, she is attacked by ronin. Just as one of the ronin is about to find her hiding place, he is attacked by demons. The demons close in on Chizuru, when she is saved by the Shinsengumi. In Shinsengumi headquarters, she explains who she is and why she is there. 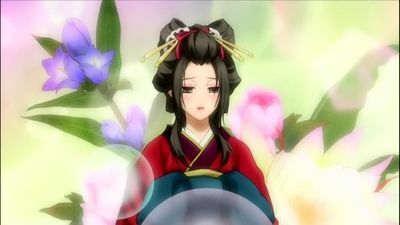 The Shinsengumi allow her to stay as they are looking for her father as well. Hijikata's army has a few victories in Futamata-guchi, but Ootori's army falls in Matsumae-guchi. Hijikata and his army is forced to retreat before the enemies arrive. When another blood thirst strikes, he realizes that his body cannot hold out much longer. 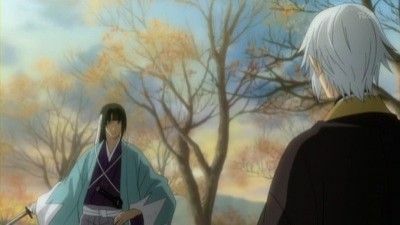 In Benten Daiba, Hijikata meets up with Shimada and Ootori, who blames himself for the loss at Matsumae-guchi. Hijikata tells him that it wasn't his fault and shakes his hand in the end. 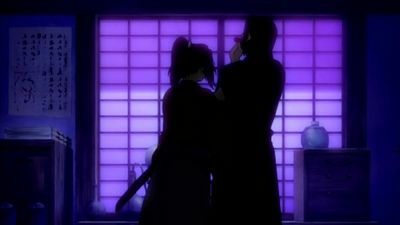 Later when they are alone, Hijikata ends up confessing to Chizuru and kissing her. When the New Government Army attacks Benten Daiba, Hijikata is shot while on horseback. Refusing to let him die, Chizuru gives him some of her blood. While attempting to go back to Goryoukaku, Kazama Chikage appears under a beautiful cherry blossom tree. Kazama declares Hijikata not a Rasetsu, but an Oni. 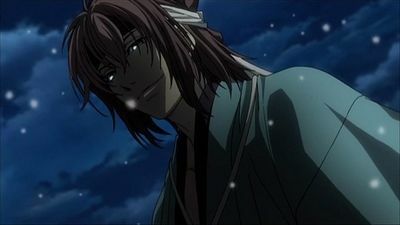 He gives Hijikata an Oni name--"Hakuouki" meaning pale sakura oni.They fight and Hijikata kills Kazama. 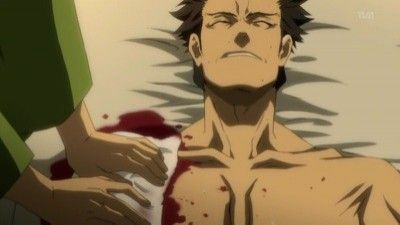 Hijikata is shown unconscious in the last few minutes of the episode but he does not die because he did not turn into ashes and disappear. Chizuru did however hallucinate the fact that he wiped her tears and whispered her name. Regardless Hijikata did not die in the last episode. Chizuru starts to work her way into the Shinsengumi's society, motivated by a desire to be useful and concern over the injured Sannen-san. She gains permission to leave headquarters in the company of the regular patrols, in order to continue the search for her father. 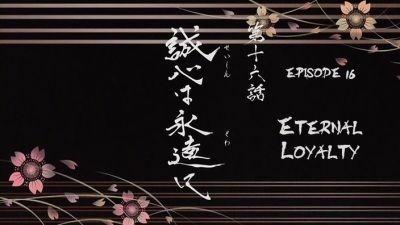 Following one lead, she runs headlong into the Shinsengumi's enemies, and in the subsequent fight, the Shinsengumi learn of a Choushuu plot against Kyoto and the Emperor. Hijikata and his army manage to capture the city the Matsumae Clan is guarded by. However, they lose their battleship, The Kaiyo Maru. 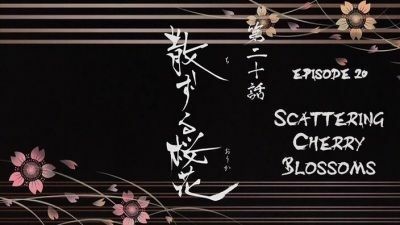 During a meeting, Hijikata experiences blood thirst, and has a hallucination of Chizuru. Back in Sendai, Chizuru visits Koudou's grave on a daily basis, but finds Kazama Chikage there one day. Chizuru believes that he has stopped going after Hijikata, but Kazama swears not to go back on his promise to fight Hijikata once more. The Republic of Ezo is found, and Hijikata is elected as the Vice Commissioner, putting him under more pressure. Ootori secretly sends for Chizuru to work as Hijikata's attendant. The Republic of Ezo attempts to attack the enemy once more at sea, but they only have one ship, having lost the others in the bad weather. They are forced to retreat, and Hijikata tries to get Chizuru to leave. She refuses and promises to stay with him to the end. The conflict between the Shinsengumi and imperialist forces breaks out into the Boshin War. During the Battle of Toba-Fushimi, Inoue is brutally murdered in front of Chizuru. Kazama appears and kills Inoue's murderers. 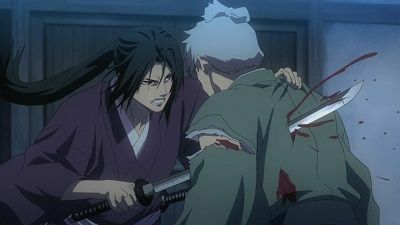 Hijikata engages Kazama in battle, believing that he killed Inoue. During the fight, Hijikata drinks Ochimizu and becomes a Rasetsu to better his odds of victory. Yamazaki steps in and is grievously wounded. The fierce battle ends abruptly when Amagiri comes to collect Kazama. In the aftermath, the Shinsengumi bury the dead before departing by ship for Edo. En route, Yamazaki succumbs to his wounds and is buried at sea. The Shinsengumi learn of Itou's plot to assassinate Commander Kondou. 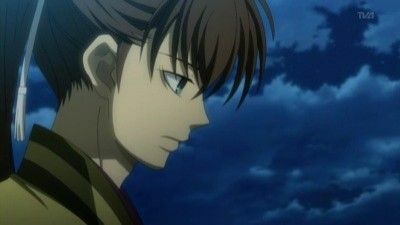 The Shinsengumi is dispatched to Itou's compound, in spite of concerns over Heisuke's safety. After Itou is assassinated, Saito and Chizuru confront Heisuke directly, and persuade him to fight alongside them against Itou's men. Meanwhile Souji, severely weakened by his tuberculosis, is approached by Kaoru, who reveals his true identity and offers him a vial of the "medicine" that would heal him and make him a Rasetsu. Back at Itou's compound, the Shinsengumi forces are surrounded by Itou's men, Shiranui, and Amagiri. Heisuke engages Amagiri in battle, and is brutally attacked. Okita gets angry at Hijikata, who failed to rescue Kondou before he was beheaded. Saito forces Hijikata to stay behind and rest while he takes the front line. 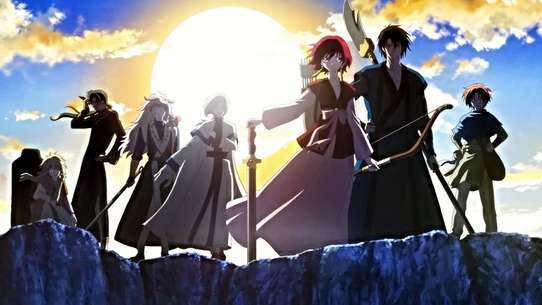 The New Government Army attacks the Shougitai, and Harada and Shiranui run into Koudou and a group of Rasetsu coming to seek blood. The two of them manage to kill all of the Rasetsu with silver bullets, but Harada is mortally wounded. Just as Koudou is about to kill Shiranui with a bomb, Harada throws his spear at him, making the bomb backfire on Koudou. Harada and Shiranui are never seen again by the Shinsengumi. Okita overhears some men planning to assassinate Hijikata, and uses his Rasetsu powers to kill them all. Hijikata hears rumor of a white-haired man fighting dozens of men, and he and Chizuru run to the place where Okita is fighting. By the time they reach there, the only thing left is Okita's sword, Okita himself having used up all of his lifespan and disintegrated. Ryunosuke is coming to a crossroad with his relationship with Serizawa and the Roshigumi. The actions he takes now will determine his fate in the future. After his brutal defeat, Heisuke drinks Ochimizu and becomes a Rasetsu. An attempted assassination leaves Captain Kondou in critical condition. In order to avenge Kondou, Okita drinks the Ochimizu that Kaoru gave him, also becoming a Rasetsu. Kaoru appears, and reveals that the Ochimizu will not heal his tuberculosis. He also reveals the reason he hates Chizuru. In an ensuing battle, Okita manages to kill Kondou's attackers, but is also heavily wounded by gunfire. 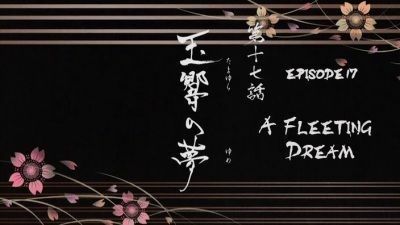 With both Okita and Kondou close to death, Hijikata sends them to Osaka Castle to be treated by Doctor Matsumoto. The Shinsengumi join up with the old Bakufu army and head for Aizu. Hijikata desperately petitions to spare Kondou's life, but his pleas fall on deaf ears. Back in Edo, Harada meets up with Shiranui, and decides to repay his debt to him. Ootori Keisuke, the commander-in-chief, introduces himself to Hijikata and asks him to become the adviser for the vanguard. 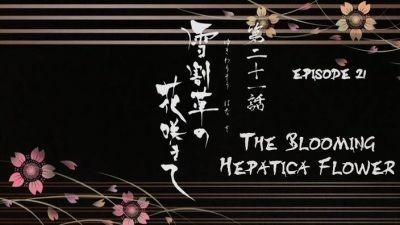 Hijikata has another vampiric impulse, and drinks Chizuru's blood. The Old Bakufu army attack Utsunomiya Castle, and Hijikata faces Kazama once more, transforming into his Rasetsu form. But he is wounded by Kazama's demon-slaying sword and stays behind Nikkou to receive medical treatment. 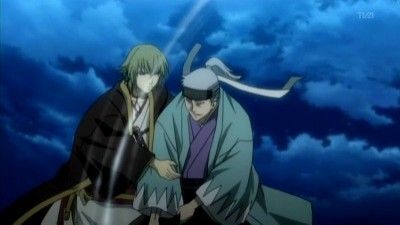 Ootori tells him that his performance as an adviser was a failure, and Hijikata recalls Yamazaki's words before he died. Nagakura comes to visit them before he leaves for Aizu. Hijikata meets up with an admiral in Sendai, who mentions that murders have been happening frequently outside the castle. He believes that maybe they have a strange unit, which Hijikata and Chizuru suspect to be the Rasetsu Unit. Shortly afterward, Heisuke shows up and reveals that Sannan has most likely joined Koudou, who is still alive. However, Koudou shows up with his Rasetsu unit and kidnaps Chizuru, leaving Heisuke fighting alone in the broad daylight. 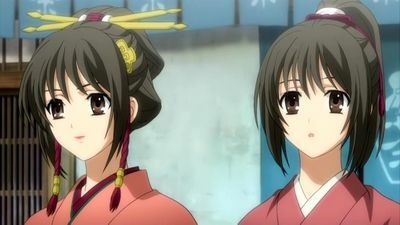 Koudou attempts to persuade Chizuru to lead the Rasetsu in order to rebuild the Yukimura Clan, but she refuses, saying that human and Oni lives are equal. 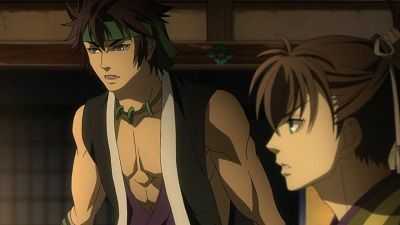 Just as Heisuke and Hijikata appear, Sannan claims that he indeed was working with Koudou to build an empire that Rasetsu and Oni could live peacefully. But he reveals that he was actually spying on Koudou. 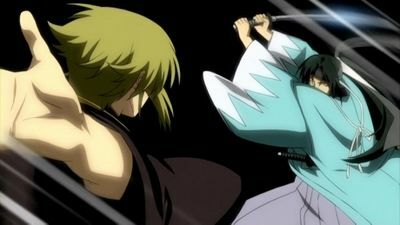 Hijikata, Heisuke, and Sannan fight the Rasetsu, and Koudou is killed protecting Chizuru. Heisuke and Sannan crumble to dust after they have used all of their lifespan. 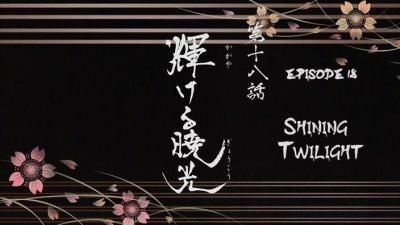 The Shinsengumi makes plans to move to Ezo, and Hijikata orders that Chizuru stays behind in Sendai while he goes to fight. Ryunosuke has been caught putting his foot in his mouth, while Hijikata has set up an exhibition match to impress the general. The Roshigumi has been tasked to test a new drug that has members split about the future of the group. 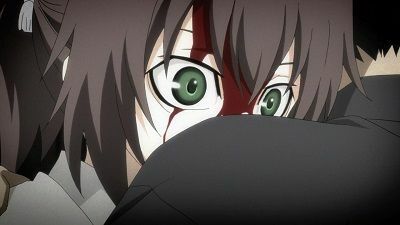 Saito follows Sannan out at night, but loses him when he sees Amagiri killing a Rasetsu. In return for helping him kill the Rasetsu, Amagiri tells him a shocking secret about the Rasetsu. Saito relays this information to the Shinsengumi, and Hijikata orders Sannan to stop all experimentation on the Rasetsu Unit. They also decide to move to Aizu. 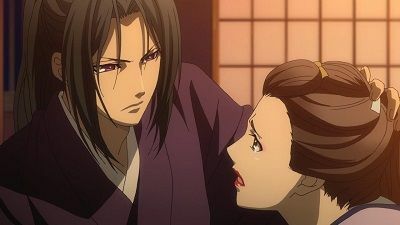 Chizuru witnesses Hijikata having a vampiric impulse, but Hijikata refuses to let her give him some of her blood. Later, after the Shinsengumi make camp in Aizu, the enemy decides to attack the headquarters when all of the troops are out for training. Kondou orders Hijikata and the rest to escape while he stays behind. As they escape, they run into enemy soldiers. Despite Chizuru's plea, Hijikata uses his Rasetsu powers and kills them all. Kondou peacefully surrenders to the enemy, and Hijikata angrily laments his choice to leave Kondou behind.